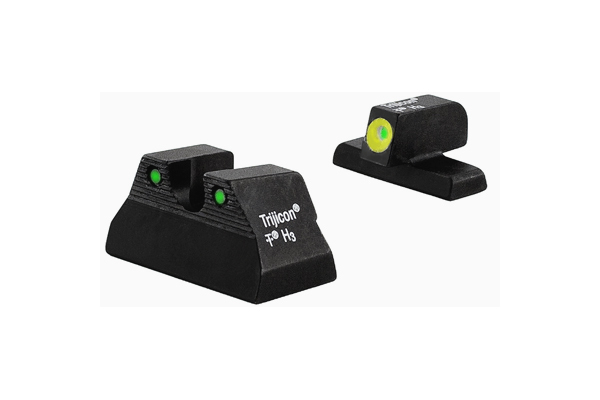 Designed with tactical shooting in mind, the Trijicon HD Night Sights feature a 3 dot green profile with yellow front outline. Front sight features a taller blade and an aiming point ringed in photoluminescent paint while the rear sight is outlined in black and features a wider U-shaped notch for fast acquisition. Fits HK P2000/P2000SK.